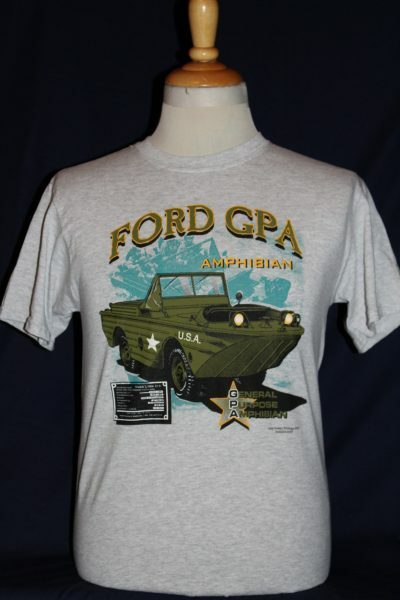 The Ford GPA Amphibian T-shirt is a single sided print in grey. Front Design Only: Right front view of the Ford Amphibian with text superimposed over a faded photo of the same vehicle. 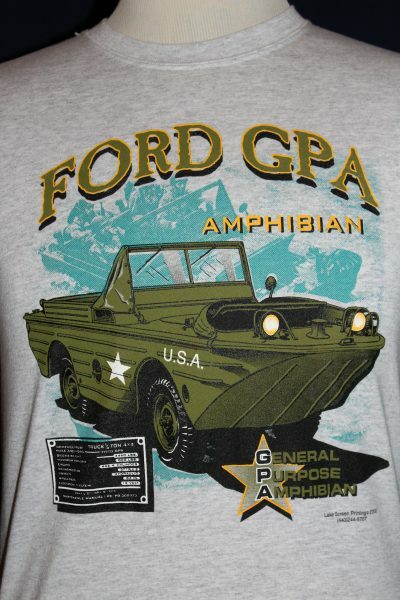 GPA General Purpose Amphibian text with manufactures statistics plate.